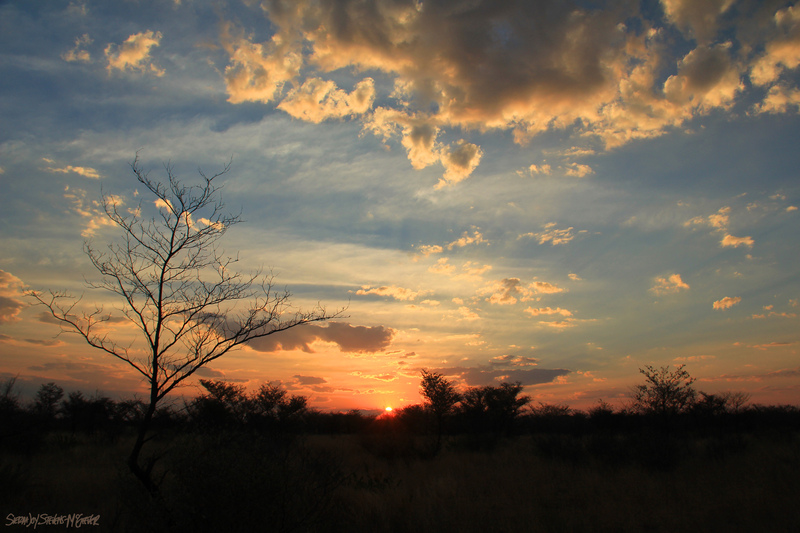 In the heart of the Kalahari Desert live a small, strong people with slanted eyes, wide noses and caramel skin. Their slender bodies are adapted to moving through this arid yellow land. Women gather nuts, fruits and roots, knowing what each plant has to offer: food, medicine, dye, building material. 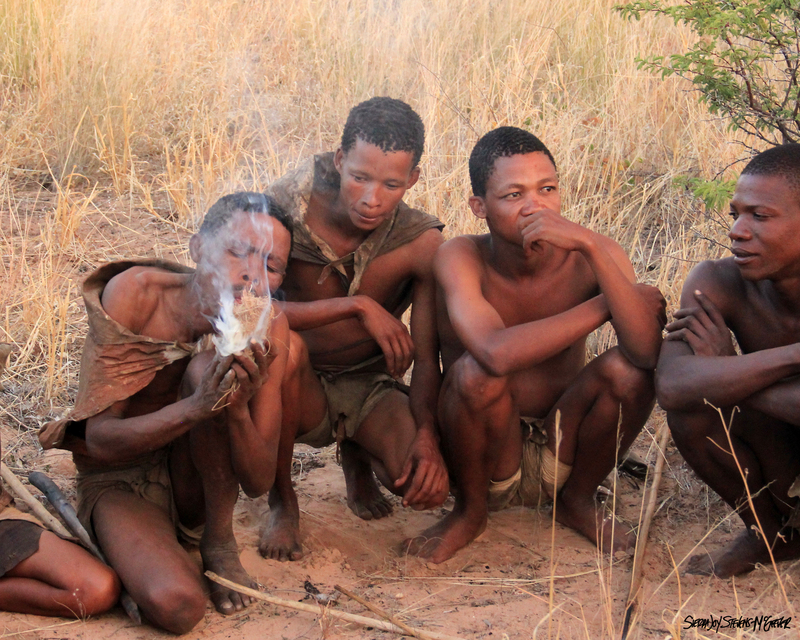 The men hunt, mostly antelope, with poison arrows in multiple day pursuits: stocking the animal until they are close enough to shoot, then running after it as it flees, arrow lodged in its body, for days until finally the poison sets in, slows the animal and it can be sacrificed. The men thank the animal for feeding their families and carry it back to where the mobile extended family band has set up a temporary village. 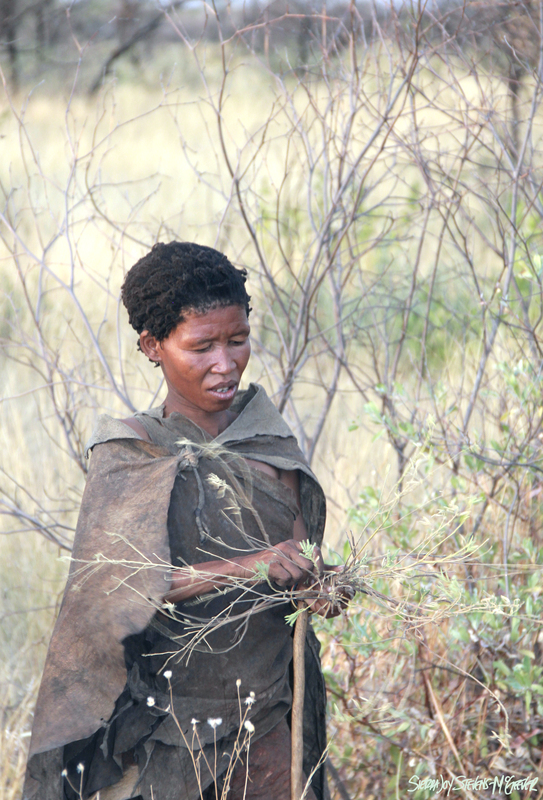 Like many tribes across the world, the San Bushmen are struggling to keep their culture in the face of the modern world. 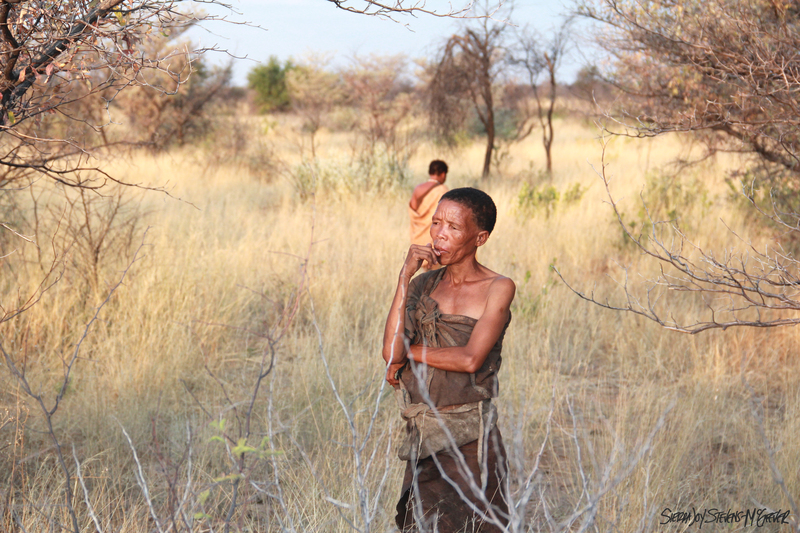 The government of Botswana found diamonds in the bushman’s homeland and immediately relocated them to areas where they cannot hunt and many must rely on government handouts. The elders are trying to keep the local culture, customs and knowledge alive by teaching the younger generation about where they came from. 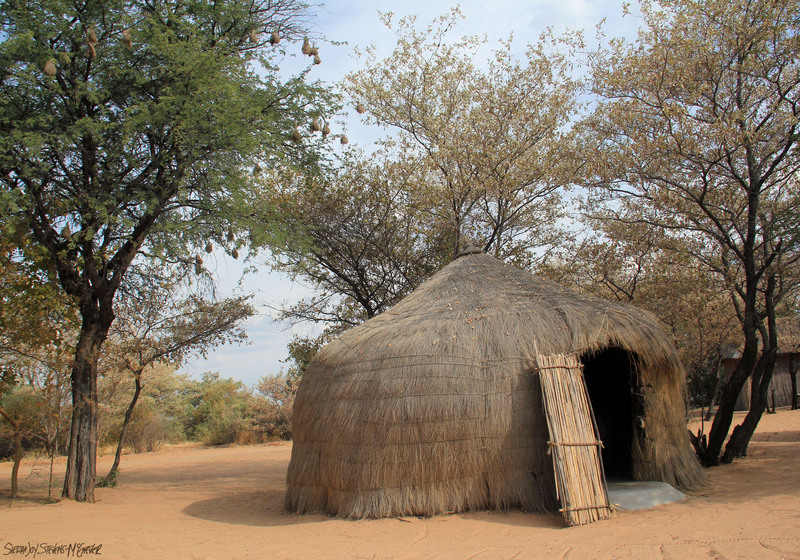 Across southern Africa small strongholds exist where these ancient people are still living traditional lives. Near Ghanzi we met an extended family of this ancient people. Their language of clicks was accompanied by enthusiastic gesturing that told their stories with perfect clarity. Beneath sparkling dark eyes the curves of full lips easily gave way to laughter. The matriarch, a tiny, vibrant woman with soulful eyes, shook of our hands, clasping both of her hands around ours. She asked for our names and the country we came from, listened carefully and repeated back to us, Si-air, Oo-nite-tid Stays. Her hands were warm, firm and smooth, despite years of weathering. 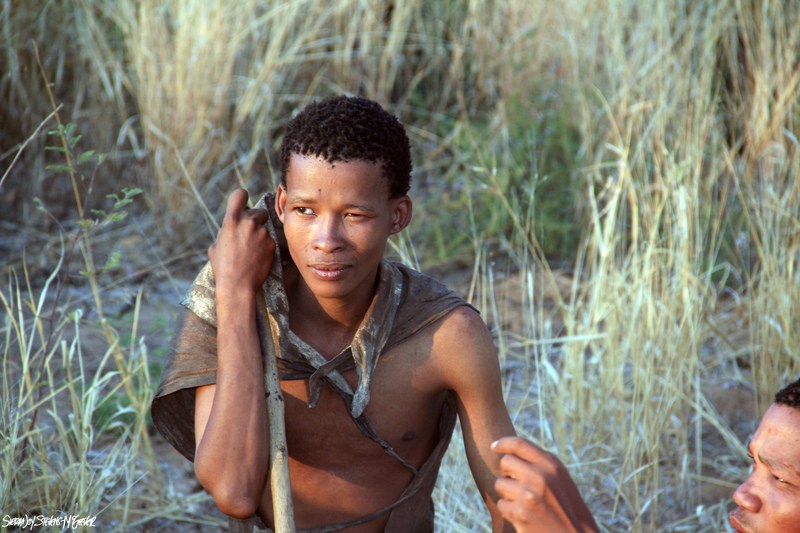 Genetic evidence shows the San Bushman as one of, if not the oldest, peoples in the world, going back perhaps 60,000 years. They have the longest art tradition in the world, going back 27,000 years to stone paintings which often highlight dancers surrounded by animals from which the people believe they draw power from. what an experience!! the photo of the woman seemingly contemplating is great.